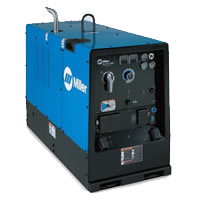 Diesel Generators | R.J. Kates Co. 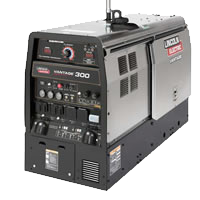 The Lincoln Vantage 300 processes Stick, TIG, MIG, Flux-Cored, and handles Gouging. Simple controls keeps training time to a minimum. The rated output current/voltage/duty cycle: 300A/32V/100% and 350A/28V/100%. Large 20 gallon (76 liter) fuel tank. 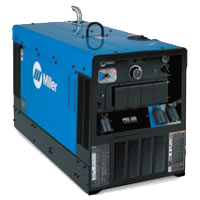 The Miller Pro 300 offers exceptional arc control for Stick, Lift-Arc™ TIG, Flux Cored and CV short arc MIG processes. An arc-start enhancer for all types of Stick electrodes, the Hot Start feature automatically increases amperage during arc starts when required. 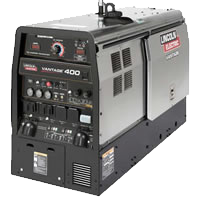 The Lincoln Vantage 400 processes Stick, TIG, MIG, Flux-Cored, and handles Gouging. Simple controls keeps training time to a minimum. 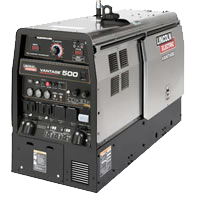 The Lincoln Vantage 500 processes Stick, TIG, MIG, Flux-Cored, and handles Gouging. Simple controls keeps training time to a minimum. The rated output current/voltage/duty cycle: 500A/40V/100% and 525A/38V/60%. Large 20 gallon (76 liter) fuel tank.